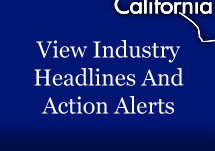 Our good friends and allies at the California Manufacturers & Technology Association (CMTA) made public that longtime President Jack Stewart will be retiring at the end of 2014 and that CMTA’s Board of Directors will promote Vice President of Government Relations Dorothy Rothrock as its new president. Both Jack and Dorothy have been instrumental to our industry’s ability to fend off some of the crazier ideas in Sacramento regarding the state’s business climate, energy issues, transportation, and the ability to manage your properties with less bureaucratic red tape. Stewart has overseen many legislative and regulatory accomplishments for the state’s manufacturers in his 23-year tenure at CMTA. Most importantly he pushed for two manufacturing tax credits in 1993 and in 2013 to help manufacturers compete and invest in California. Other policy victories include increasing the legislature’s awareness of the growing need for career technical education and workforce development in our schools, and leading the Association’s substantial efforts on California workers’ compensation reforms in 2007 and 2012. We thank Jack for his great leadership and look forward to working with Dorothy in her new capacity leading one of the most effective and tenacious business groups in the state!